Did the heat of Tammuz leave you feeling drained? Well, Av is here, and it’s the emotional roller coaster of Hebrew months, so get ready! Av is all about transformation from broken to whole. It’s about destruction, sadness, and mourning, but it’s also about love and dancing and celebration. It’s time for some serious spiritual stretching to avoid Av-induced whiplash. The first half of Av is full of mourning and grief, culminating in Tisha B’Av, the saddest day of the year for Jewish people. Nine days after the New Moon of Av, we commemorate the destruction of the Holy Temples in Jerusalem. The First Temple crumbled on Tisha B’Av (which translates directly to “the ninth day of the month of Av”) in 586 BCE at the hands of the Babylonians. The Second Temple was destroyed by the Romans in 70 CE. As cosmic coincidence would have it, both Temples were destroyed on Tisha B’Av, hundreds of years apart! Tisha B’Av also marks a number of other unfortunate events in Jewish history, which is how it earned its name as the saddest, heaviest day of the Jewish year. Just as you begin to wonder if the darkness will ever lift, things shift dramatically upwards with the celebration of Tu B’Av, a.k.a. Jewish Love Day. We’re gonna feel all the feels this month: the highs and the lows. 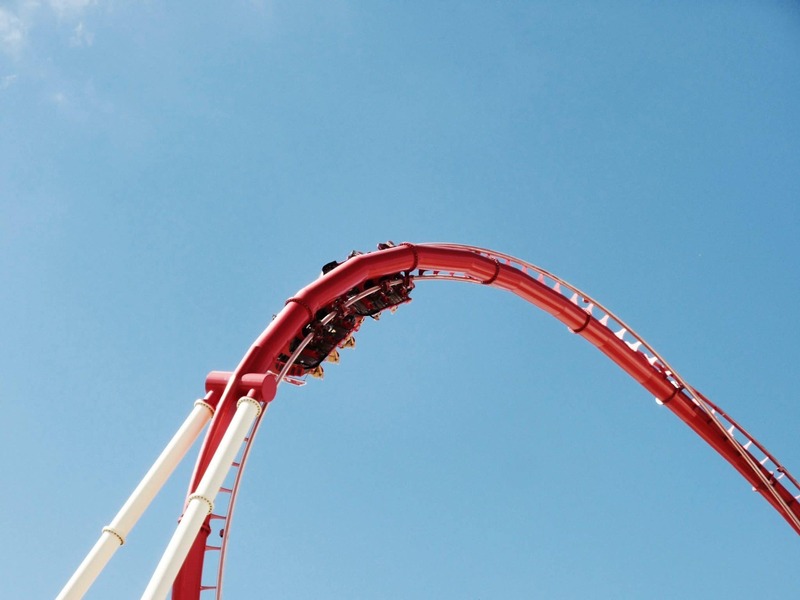 Want this roller coaster ride to lead to growth? Meet these intense emotions with calm awareness and connection to your inner self. Practice staying present, grounded, and non-reactive. In Av, we’ll try to live as the best version of ourselves, especially when our emotions run high.